Croatia Villa or Croatia Apartment..? 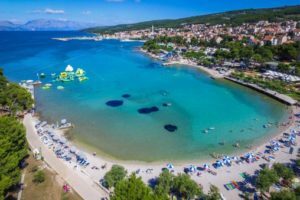 For the best places to stay in Croatia and the best beach holidays in Croatia it's definitely worth doing a bit of research on the sorts of locations you might want to book a Croatia villa or apartment. Dubrovnik is simply unbeatable in terms of the sheer beauty of its coastline and its own little Elafiti Islands. Anyone who's anyone comes to Dubrovnik and it's stunning coastline has made it one of the most sought after destinations in the world. With its UNESCO Heritage site, Dubrovnik Old Town, at it's centre, a Dubrovnik villa is hard to beat. Likened to the Cote d'Azure, the Dubrovnik Riviera has it all; stunning locations, beautiful beaches, pretty coves, idyllic islands, history, architecture, gastronomy, top class wine, interesting and exciting things to do and places to visit - the Old Town of Mostar is nearby and Montenegro is on your doorstep. 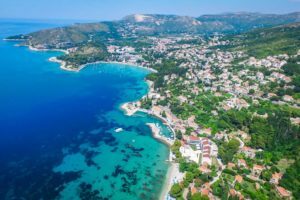 The Croatian Islands are unspoilt with stunning vistas, beaches and quaint little towns and there are some really wonderful Croatian villas in these areas now - Brac Island villas and villas on Korcula Island are our particular favourites for quality & location - also a lot more for your money if willing to take a short ferry hop. Brac Island is only a 45 minute boat ride from Split and it's the perfect place for a family holiday. Split itself along with its neighbouring old towns of Trogir, Sibenik and Primosten are also great for a holiday in Croatia. There are plenty of flights to Croatia landing at Split airport and there is a good variety of Croatia apartments here along with some very well places Croatia villa. The richness of this area is its variety of excursions and activities. There is no shortage of Split excursions - from sightseeing in historic towns and around ancient remains to speed boats, kayaks, rafting or just relaxing on the beach, this is a good base to explore the area.